It’s elegant, glam, and boho-inspired! 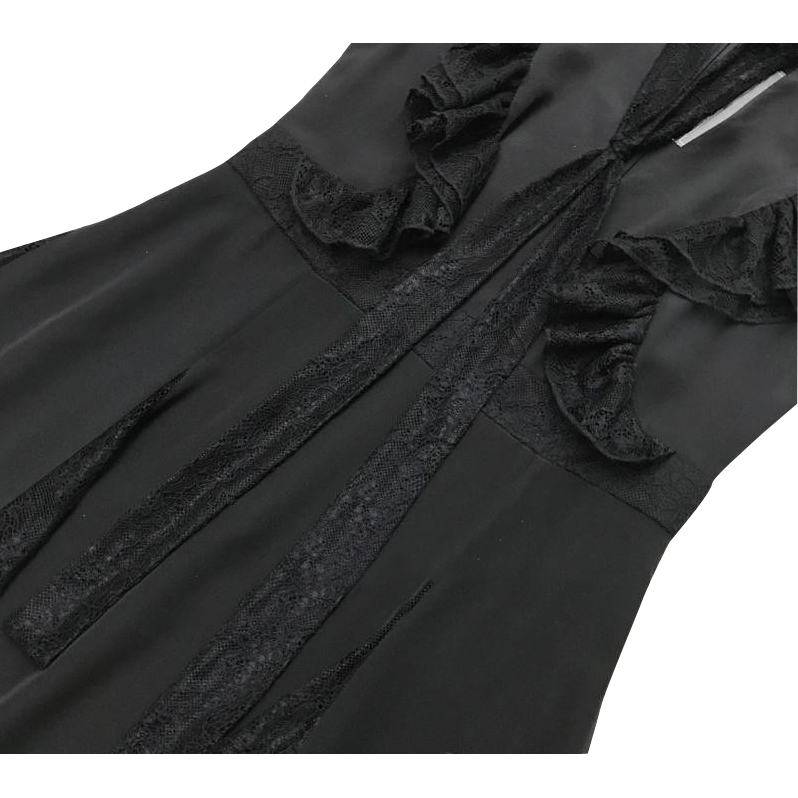 This Alexis Joaquin Neck-Tie Ruffle Lace-Detail Mini Dress from the FW18 collection is a stunning LBD featuring lace insets, ruffle details, and a neck-tie. It will become your favorite party look that allows statement accessories to stand out, maintaining very interesting and sophisticated accents. 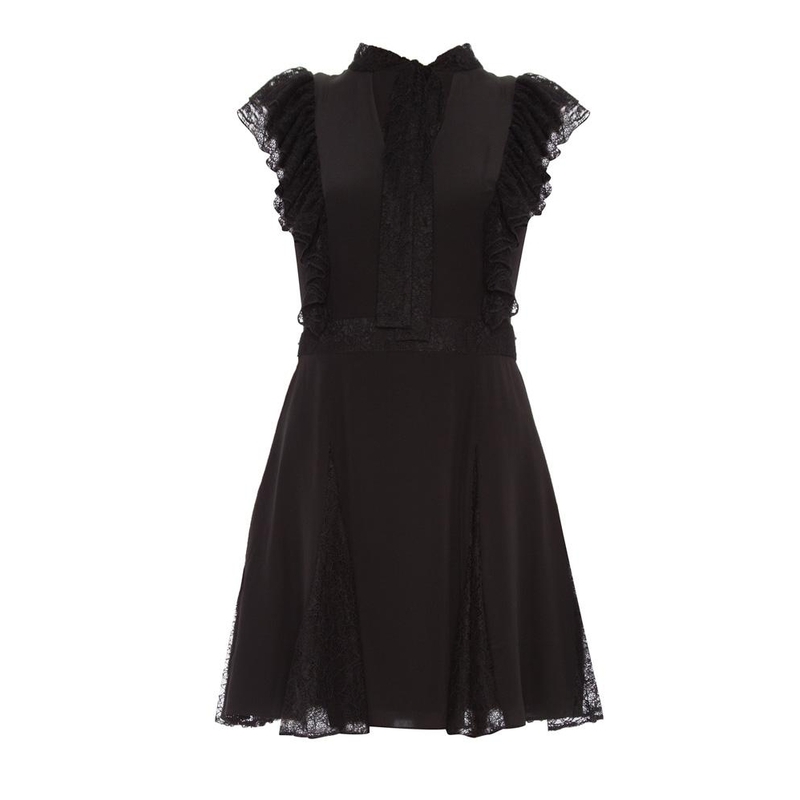 You can wear it with stiletto heels, a box clutch, and a fluffy stole to achieve Parisian chic decadence. Spice it up with dazzling jewelry and bold makeup. Dress it down with flat designer shoes and semi-casual outerwear.